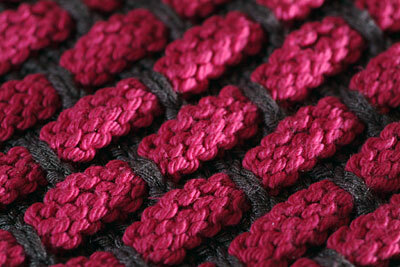 Yarn: The Cerise pink is Double Top from Texere & the grey is an unknown cotton mix from my stash. Needles: 2 x 3.5mm 30 cm circulars. Modifications: I added an i-cord loop so I can hang it from the kitchen tap. 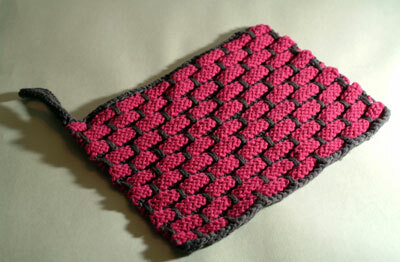 I love the two colours in the ballband dishcloth. Very vibrant!